We DO give a rat's...rear. New Ken Rat Rescue is committed to the rescue of, care for, and adoption of domestic pet rats. We are based in New Kensington, in Western Pennsylvania near Pittsburgh. We love our rats and hope you do, too! If you are unfamiliar with rats as pets, then we hope to provide you with some quality information as well as links where you can find more in-depth discussion. 30 rats adopted so far in 2019. 126 rats went to wonderful homes in 2018! Your ratties thank you for adopting them! 148 rats went to wonderful homes in 2017! Your ratties thank you for adopting them! 120 rats went to wonderful homes in 2016! Your ratties thank you for adopting them! 74 rats went to wonderful homes in 2015! Your ratties thank you for adopting them! 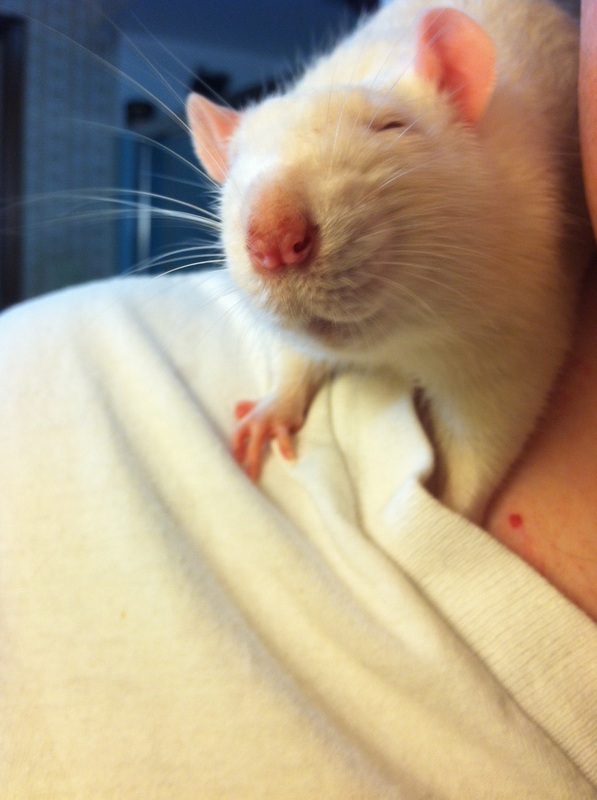 68 rats went to wonderful homes in 2014! Your ratties thank you for adopting them! Domestic rats are as different from wild rats as puppies are from timber wolves. The Rats tab has general information about domestic rats. See the tabs above for adoption, surrender, boarding, and educational information.